"Your car will roll less through the corners, be more stable and not flip as easy." 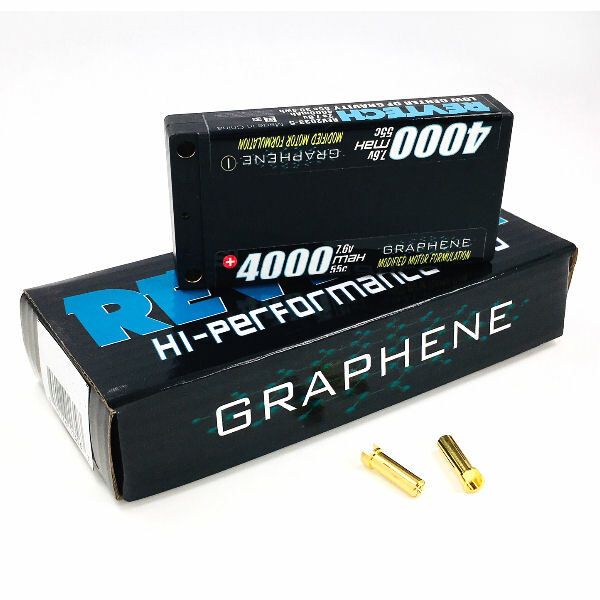 Each Graphene LiPo battery is produced with higher grade safer materials, which results in longer battery life. 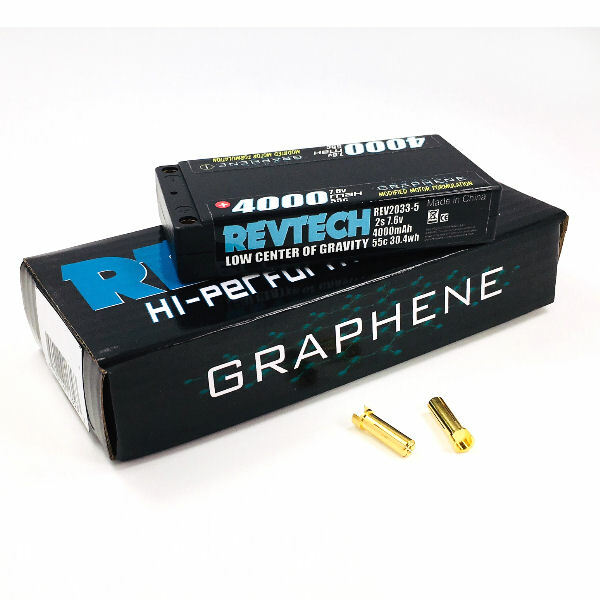 The Graphene's new assembly technology limits "cell puffing" resulting in a more durable and impact resistant battery. 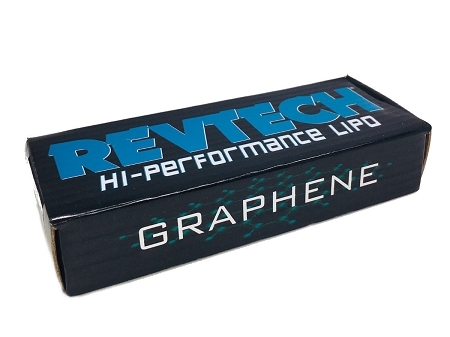 POWER Yourself to the Next Level with a Revtech Graphene LiHV Pack! 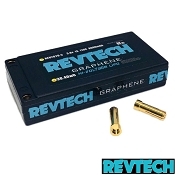 **Revtech Graphene LiHV Batteries require a LiHV compatible charger. I run this battery in my Turf car against mod guys with my 17.5 Monster. It really gives me the boost I need and allows my car to settle faster when flat landing singles. Super thing and light too! 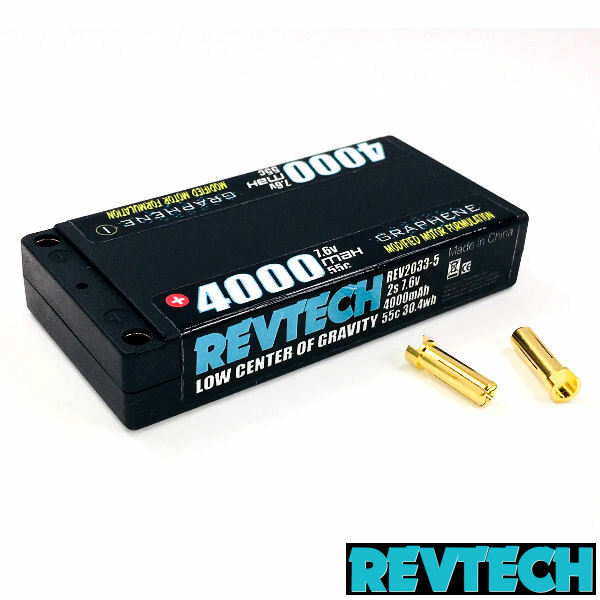 White Carbon, Graphene, Formula X, Titanium, Killer BEE, RXTech and DR Flight Series batteries come with a 30 day warranty, against manufacturing defects, from date the of purchase. Warranty covers dead cells or cells with voltage charge errors (voltage off between cells more than .5 of a volt when balanced). Warranty does not cover puffed or swollen battery packs unless new defective right out of the box. Warranty will not cover items that have been modified, disassembled, or otherwise misused according to the item s instructions. 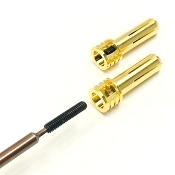 Proof of purchase is required to submit a warranty claim. 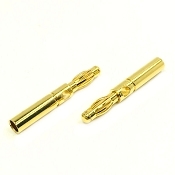 TRINITY is not responsible for bodily injury and/or property damage that may occur from the use or misuse of the item.